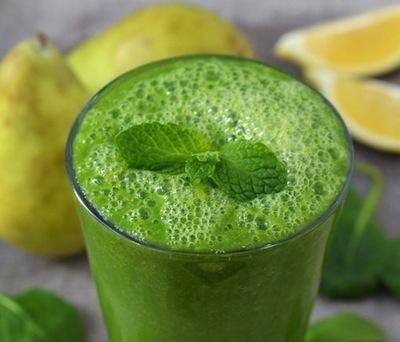 Spinach is rich in nutrients and the base for this smoothie. Those new to green smoothie recipes should try starting with spinach as it has a milder flavor and is gentle on your stomach. Simply blend all the ingredients together. If you want your smoothie to be thicker, first mix the ground flaxseed in 2 tablespoons water, letting it sit 2 hours or more.